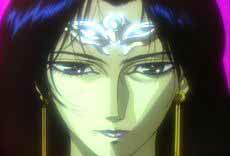 Also Recommended: Heroic Legend of Arslan, Twelve Kingdoms, Berserk, Moribito, Utawarerumono. 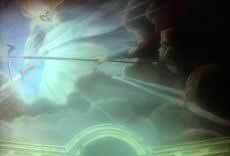 A thousand years ago, the sacred lands of Lodoss was torn apart when the gods fought each other with all their might. The only ones left were Marpha and Khardis, who were left in a deep sleep. 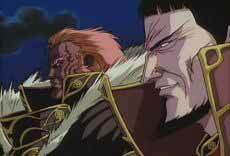 In the era that followed, men sought to conquer and rule in their stead, and nations still clashed in war, albeit less destructive. To prevent a single community from becoming too strong, unseen forces put them up against each other, with the intent of letting neither of them win. Young Parn gets caught up in the middle of all this. 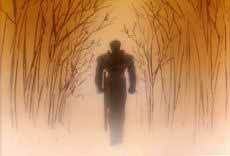 Driven by the desire to make good the apparent betrayal of his father, he decides to travel to Valis to become a knight. This he does with his group of companions, some of which he meets before even setting out on his journey. 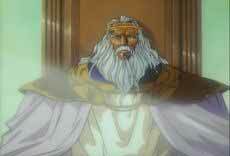 Lodoss Wars! If there is any love for adventure and fantasy in your soul, you will know about this show, especially if you've been an anime fan for a good number of years. 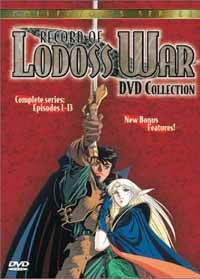 For good and bad, The Record of Lodoss Wars OAV is a classic in more ways than one. 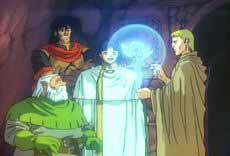 The OAV itself were built around a series of novels, which again were built around a concept similar to D&D role playing. Heading up this roster is Parn, as typical a reckless, eager teenager as you'd ever find. His type is generally the most common in stories like this, also often used in Japanese, story-based console RPGs. What he lacks in talents at the beginning, he often makes up with in moxie, though naturally, he would not survive for long without the aid of his friends and allies, conveniently shared between most of the common RPG archetypes; the wizard, the cleric, the elf, the dwarf and the thief. 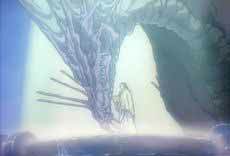 There has been released a lot more good fantasy anime after the creation and release of this show. 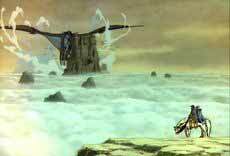 One of my most recent titles are Utawarerumono, which was a compelling title in its own right, and shares more than a few passing similarities with Lodoss Wars, despite its somewhat modernized settings and story (and the oddly harem-ish add-on.) This show might be considered old-school, but it has still aged remarkably well, and should be considered a part of the curriculum of any fan of adventure and fantasy. Version(s) Viewed: Official All region release by Manga Entertainment.